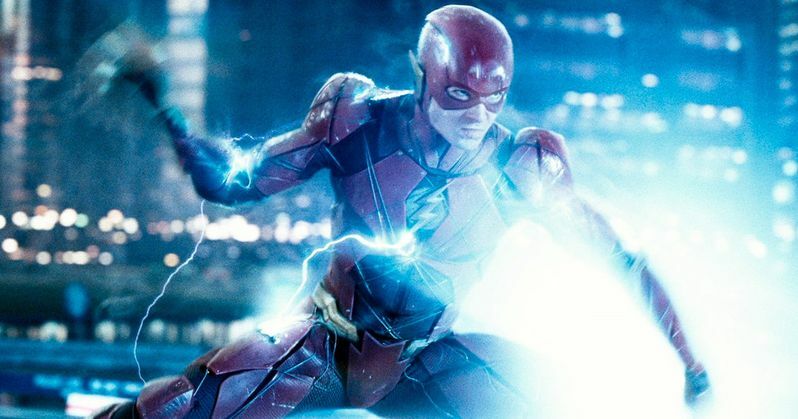 The Flash Movie May Get Director Robert Zemeckis? It is no secret that DC's production of The Flash feature length movie has had trouble taking off, but that could all change soon. It was reported back in February that Warner Bros was rumored to be taking the project back to square one after the loss of two directors, most recently Rick Famuyiwa (Dope) and original director Seth Grahame-Smith (Lego Batman). The Flash was supposed to launch in early 2018 and has been pushed to 2020, which still seems to be totally unrealistic at this time. The Flash is not the only DC movie to be going through some creative problems, both Bat Man and Cyborg have had very public stalls and stutters. But, could this all turn around for The Flash? Screen Junkies is reporting that sources close to the project say that Robert Zemeckis (Back to the Future) is rumored to take over the flailing project. It is also rumored that if Zemeckis comes on board that he would like to rewrite the script, although Warner Bros is reportedly not excited about another rewrite. If this is true, it could be exactly what The Flash movie needs to get into gear. But this is very much a rumor and a developing story that is already starting to see some detractors online. Umberto Gonzalez from The Wrap, took to Twitter to shoot the rumor down. Ezra Miller is still attached to the project to play the Flash, to the dismay of longtime fans of the the hit CW television version of The Flash. Batman Vs. Superman and Justice League director Zack Snyder has said that the television version does not fit into the cinematic universe planned out for the Flash. Justice League could be a good barometer to see if fans will accept Miller as the Flash and if anyone can do it, it's Snyder. Snyder might not make critically acclaimed movies, but they sure do look good. The comic book comes to life under the direction of Snyder. Hopefully that will be enough to garner excitement and a director into the Flash's corner. Director Kevin Smith (Clerks) recently directed an episode of the CW television show has said that Tim Miller (Deadpool) could be a good choice and called him an accidental genius. It was also rumored that Jordan Peele (Get Out) was approached, but there has not been any further development to that rumor either. Zemeckis is a classic director who could bring a less dark version of The Flash that Snyder had spoken of and he is also rumored to really like the character of the Flash. In addition, Zemeckis might know a thing or two about time travel. Hopefully DCEU can pull it together and get The Flash in theaters sooner rather than later. The prospect of Zemeckis behind the idea is very exciting, but should be taken with a grain of salt. For now, we'll have to wait and see the Flash in the upcoming Justice League on November 17th, 2017.